Are you planning on getting your child a cell phone in honor of the new school year? 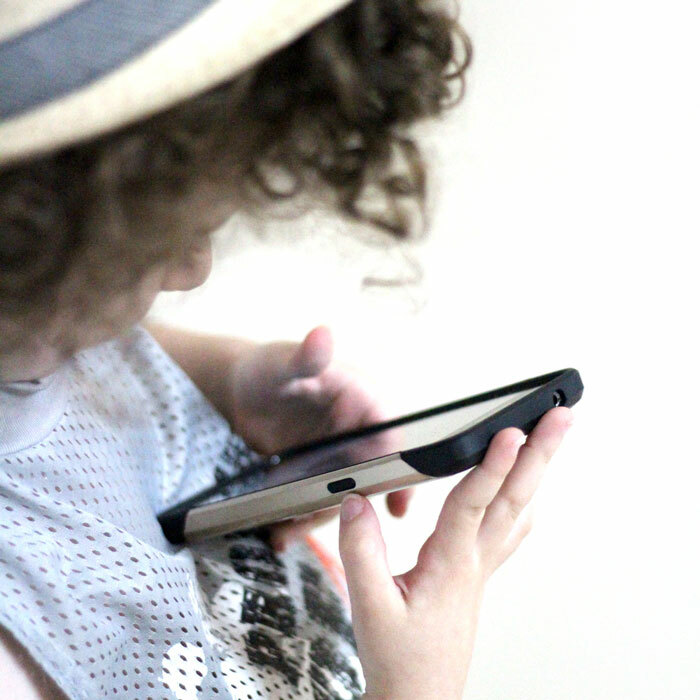 Now is the perfect time for teaching children phone etiquette – the do’s and the don’t of phone conversations! Giving your child a phone can be very reassuring. You know you can reach your child any time you want. You can be in touch and ensure that your child is safe. And it doesn’t need to be expensive! Straight Talk Wireless offers nationwide coverage on America’s largest and most dependable networks at competitive rates. Their $45 unlimited 30-day plan includes unlimited talk, text, plus 5 GB of high speed data per 30 day cycle. After the 5 GB allowance, data speed is reduced to as low as 2G for the rest of the cycle. They also have a $55 plan with 10GB of data, so if you need more you have that option. Disclaimer: At 2G speeds, the functionality of some data applications, such as streaming audio or video may be affected. Please refer always to the latest Terms and Conditions of Service at StraightTalk.com. Straight Talk’s Bring Your Own Phone plan requires a compatible, unlocked phone, activation kit and Straight Talk service plan. User may need to change the phone’s Access Point Name Settings. But before you send your child off to school with a phone, make sure that she or he knows the basic rules of using a phone. It’s a lesson that needs to be taught, and now is the perfect time! 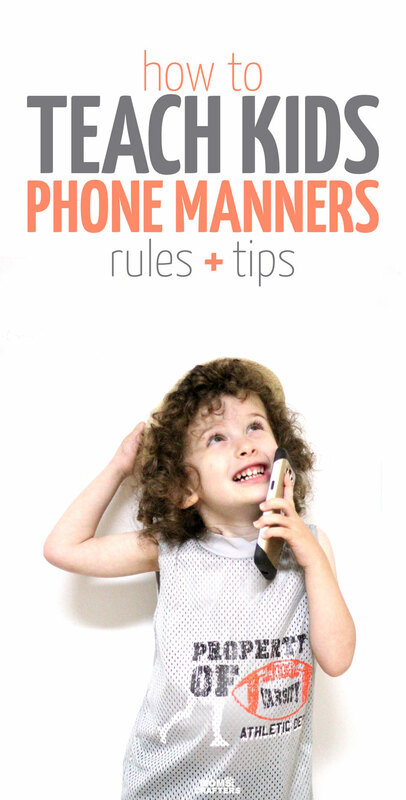 Here are some basic rule and guidelines for teaching children phone etiquette. Avoid calling people (such as parents) at work unless absolutely necessary. Be mindful of those around you. Don’t talk too loud around others, and if possible step to the side. Teach your child to enunciate, and not to mumble, especially when leaving messages. End the conversation nicely. Always say “thank you” and “goodbye” and then wait for the other person to respond before hanging up. This is more safety-oriented than manners, but equally, if not more, important. When your child answers the phone, teach him to first verify who is on the other end. He should also not give over any information, such as his surname, address, who is at home, etc. Teach your child how to politely-but-firmly end an unsafe conversation. If someone calls your child, she can politely hand the phone over to you, by saying “Is it alright if I hand this call over to my parent?” If the person on the other end is pressing your child, you can tell her to decline the call by saying “I apologize, but I am uncomfortable with this conversation. If you’d like to speak to my parent, you can. Otherwise, I will need to hang up.” She should hang up if the person on the other end presses any further. Start early. 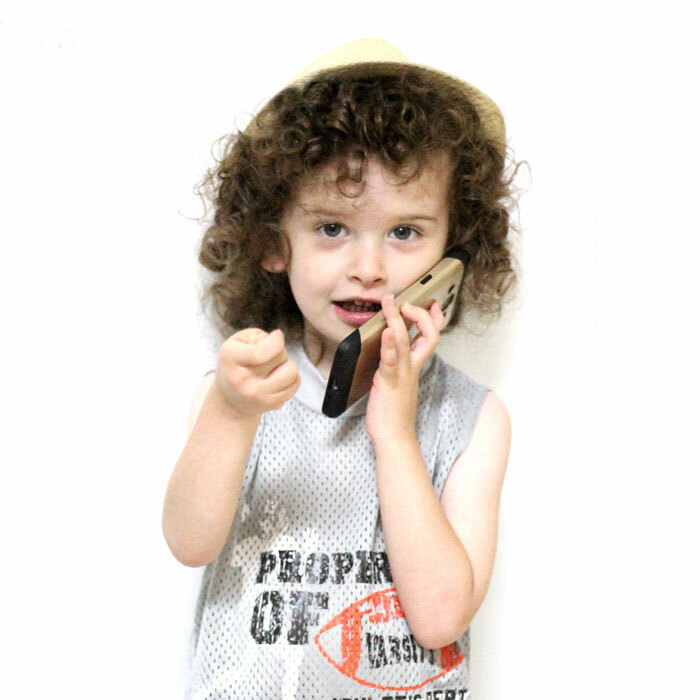 The earlier a child learns phone etiquette, the more natural it will be to him. 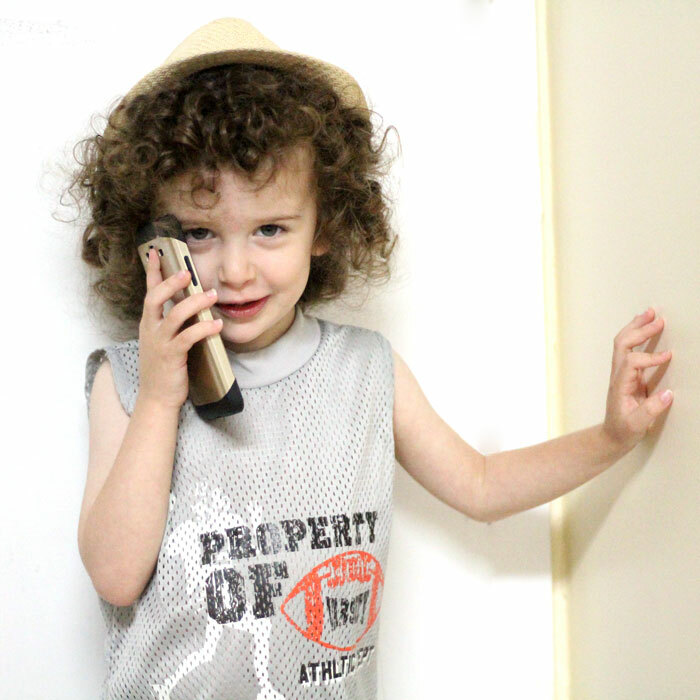 We are already working on hanging up nicely with M.
Practice calling with your child in pretend phone conversations. Practice all sorts of scenarios – someone who asks for too much information, taking a message, etc. Set a good example – it’s amazing what kids can pick up! 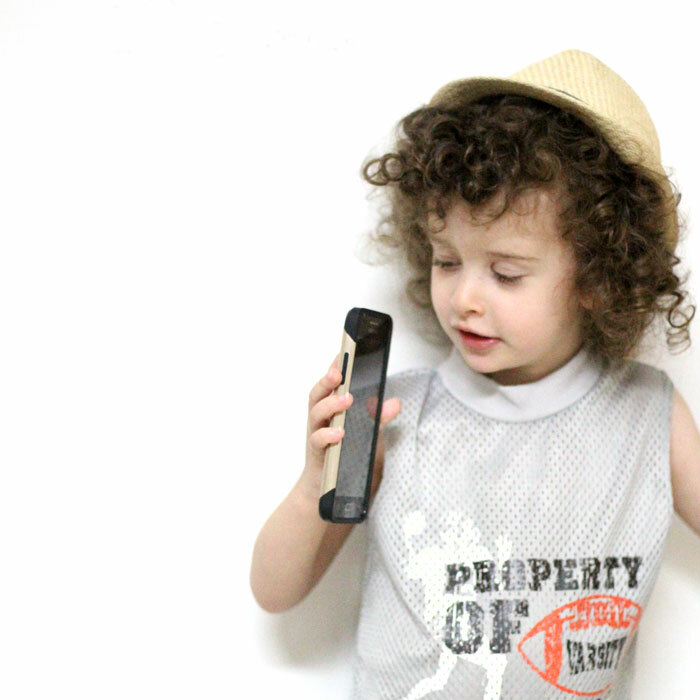 Teach your child to take notes on a phone conversation by practicing. Have her fetch a pen and paper before dialing. Teach her how to respectfully ask someone (possibly a grown-up such as a teacher) to slow down if she is struggling to keep up. Emphasize that having a phone is a privilege, not a right. If your child does not live up to the responsibility, the phone can and will be confiscated. Teaching children phone etiquette is an important part of teaching manners, and the new school year is the perfect time to do it! 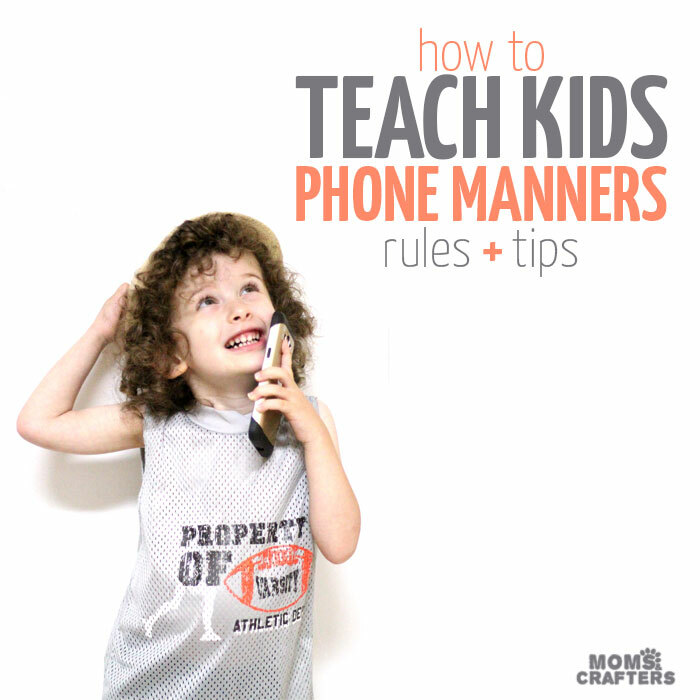 What are your best tips for teaching children phone etiquette? Which phone manners rules would you enforce? Click here to learn more about the sponsor, Straight Talk Wireless and what they have to offer! Kids, Parenting tips and tricks, sponsored. Bookmark. Love all these tips! Especially the safety ones. So important.